I signed up for an ACA policy myself. Although I do not qualify for subsidies, it still provides very good coverage at a price much lower than my current policy. (My current policy is a COBRA policy based on my late husband's prior family policy coverage at his job.) Even without subsidies, our new policy will cost less than half of what we would be paying if we stayed on COBRA, and also much less if we bought one of the nongroup policies currently available on the open market in New York State. Because I am in great health and also fortunate to be able to cover "the small stuff", effectively self-insuring for small routine expenses, the best choice for me appeared to be a no frills high deductible "Bronze" policy from a highly rated HMO, Capital District Physicians Health Plan (CDPHP). Our family has used CDPHP in the past. They have a very solid track record and we have confidence in the physicians we have used who are part of their network. In fact, a recent issue of Consumer Reports showed that CDPHP ranked #1 health care plan in New York State and among the top 20 health plans anywhere in the country by the National Council on Quality Assurance, a national nonprofit accreditation agency. There were several other choices that also looked quite appealing and might meet other family's needs and circumstances better including a number of plans from MVP, also a well ranked health plan in the rankings cited by Consumer Reports as a "best buy." Update: I have now had three full years of this coverage and have just started my fourth year. It has worked well for me, providing access to an excellent network of health care providers at much lower cost than I would have been able to obtain before ACA. My first year (unsubsidized) premium for a high deductible Bronze family policy was $626/month. It has increased an average of $23 per year over each of the past three years, less than 4% per year. This is more than the overall CPI but less than many of the headlines suggest. It has also qualified me to open a Health Savings Account. I recognize that others, particularly in other states, have had worse experiences. Q: Do I have to file a tax return? Check Tab A for answers. Page A-1 is "for most people" but if your taxpayer qualifies as the dependent of another taxpayer, check page A-2. Also check "special situations" on page A-3. Q: Can I claim an exemption for myself on my tax return? If someone else CAN claim you as their dependent (even if they choose not to do so), you may NOT claim a personal exemption for yourself. 1) If you provided more than 50% of your own support, nobody else can claim you. 3) If you were over 19 on Dec 31 and not disabled AND not a full-time student and made more than $4,050 in gross taxable income in 2016, then nobody else can claim you. Other cases are harder--you will need to work through Table 1 on page C-5 to rule out the possibility that you are someone else's QC dependent and then through Table 2 on page C-6 to rule out the possibility that you are somone else's QR dependent. Q: Can I can claim someone else as my dependent? If you yourself can be claimed as a dependent, the answer is unequivocally NO. Dependents may not claim others as dependents. Otherwise, work carefully through Table 1 on page C-5 to see if the potential dependent is your QC dependent. If that doesn't work, carefully go through Table 2 on page C-6 to see if the potential dependent in your QR dependent. Q: What happens if more than one person can qualify to claim the same person as their dependent? See page C-4 of Tab C.
Q: How do I know if my child qualifies for the Child Tax Credit? If your QC child was under 17, see pages G-8 and G-9 of Tab G.
Q: How do I know if I can qualify for the Child and Dependent Care Credit? If you had a child under 13 or disabled dependent of any age in daycare to allow you to work, see pages G-3 and G-4 of Tab G. To enter the information about daycare expenses qualifying for that credit, go to line 49 of Form 1040 and click on that line. Q: How do I know if a child is my QC for the Earned Income Credit (EIC)? Check page I-4 of Tab I.
Q: What filing status is most advantageous? Q: How do I know if I can claim Head of Household (HoH) filing status? Carefully use the decision tree on page B-1 of Tab B. You MUST have at least one Qualifying Person (as defined on page B-3) in order to claim HoH. Q: What counts as Minimum Essential Coverage (MEC) under the Affordable Care Act? See page ACA-4 of the ACA tab (near the front of your book) for a list of the types of coverage that count. Q: What happens if I (or my dependents) didn't have MEC for all 12 months of 2016? Unless an exception applies, you will have to pay an additional penalty tax (called an "Individual Shared Responsibility Payment") on line 61 of your Form 1040 tax return. Q: Where can I find a list of the exceptions to the ACA penalty? See page ACA-7 in the ACA tab for the list. Q: What are the types of education tax benefits allowed? Which one do I use? These are described in a table on pages J-2 and J-3 of Tab J. There are many types and the details differ among them. The most common ones for current students are American Opportunity Credit, Lifetime Learning Credit, and the Tuition and Fees deduction. In general, a student enrolled in the first four years of post-secondary education at least half time will benefit most from the AOC, so you should always try that one first. Students who are very part-time or past the first four years will not not qualify for AOC, so you would go with Lifetime Learning credit or Tuition and Fees deduction for them. Q: How do I enter education tax benefits for current students? Go to Form 1040 and click on line 50 to go to the education benefit menu. Q: How do I enter student loan interest? Student loan interest of up to $2,500 paid by the taxpayer is deductible as an adjustment to income. Go to Form 1040 and click on line 33 to enter this deduction. Q: What kinds of income needs to be reported on a tax return? See page D-1 of Tab D for a list of what needs to be reported and doesn't need to be reported. Q: I am not sure where to enter a particular type of income? See pages D-3 through D-6 of Tab D.
Q: How do I enter my itemized deductions? Itemized deductions go on Schedule A. Click on line 40 of Form 1040 to go to the itemized deductions menu. Q: What expenses count as medical deductions on Schedule A? The expenses must be UNreimbursed and paid by the taxpayer (or spouse if it is a joint return). The expenses must be for the medical care of the taxpayer, spouse, or dependents. Health insurance and long term care insurance count, as do hospital, doctor, dentist, and medical equipment bills. Prescription drugs and insulin count, but other over-the-counter nonprescription drugs do not. Q: What taxes I paid count as Itemized Deductions on Schedule A? Q: What expenses count as interest deductions on Schedule A? Mortgage interest (including interest, late fees, and points) count. "Mortgage insurance premiums" reported on a 1098 are also deductible as mortgage interest but "homeowners insurance" premiums are NOT deductible. Note that you can often find real estate tax information on a Form 1098 because homeowners often pay their real estate taxes through the bank holding their mortgage. Q: What are the rules for charitable deductions? Taxpayers must have written documentation for ALL donations. A cancelled check or credit card receipt is enough if the donation is under $250. For donations of $250 and above the taxpayer must have a letter or statement from the organization stating that no good or services were provided in exchange for the contribution. The recipient must be a tax-exempt organization under IRS rules. Individuals and political organizations never qualify as tax-exempt. Q: What are the rules for gambling income and losses? Gross winnings must be declared as other income on line 21 of Form 1040. (Click on line 21 to go to the menu to enter this income.) If the taxpayer also had losses, they can only deducted if the taxpayer itemized deduction on Schedule A, and they are limited to the amount won. Q: How does the Retirement Savings Tax Credit work? Taxpayers who contribute to qualified retirement plans such as 401k plans, 403b plans, and IRAs may get this credit if their income qualifies and if they are NOT full-time students. Many taxpayers make their contributions on a W-2. Check the codes in box 12 of the W-2. If you do not recognize the code, look it up on page D-10 of Tab D. See Sheryl Berringer's Form 8880 for an example of how this credit is calculated. Q: What do I do with a 1095-A form? A 1095-A form means that your taxpayer "purchased a health insurance policy" in the ACA "marketplace" also known as "the exchange". (In New York State, the name of the ACA exchange is called "New York State of Health," but other states have exchanges known by other names.) If your taxpayer purchased a "bronze" or "silver" or "gold" or "platinum" policy, then he or she may be eligibile for Premium Tax Credits and/or may have received Advance Premium Tax Credits, so you MUST prepare a Form 8962 in that case. Refer to your Pub 5157A homework examples 6 and 7 for help with how to deal with this case. Note: if your taxpayer underestimated their 2016 income at the time they originally purchased their policy, they will generally have to pay back some of their Advanced Premium Tax Credits (reported on line 46 of Form 1040) See example 7 in Pub 5157A for how this works. If your taxpayer overestimated their 2016 income at the time they originally purchased their policy, they may get some additional Premium Tax Credit added to their refund (reported on line 69 of Form 1040). See example 6 in Pub 5157A for how this works. Q: What do those mysterious codes in Box 7 of 1099R mean? See page D-23 and D-24 of your Pub 4012. Q: My taxpayer has a 1099-C form for "Cancellation of Debt"? What is that and what do I do with it? Cancellation of debt means that someone that your taxpayer owed money to agreed to forgive some or all of their debt. The appropriate tax treatment of Cancellation of Debt depends on the type of debt. If the debt forgiven is credit card debt, then you would report the amount of loan forgiven as "Other Income" on line 21 of Form 1040. See page D-44 and D-48 of your 4012 for more guidance. If the debt forgiven is home mortgage debt on a primary residence, then you do NOT need to report the debt forgiven as income THIS year, but when you sell the home, you will need to reduce the basis by the amount of the loan forgiven. See page D-52. Q: My taxpayer has a 1099-MISC with an amount listed in box 7 as "non-employee compensation." What do I do? The IRS generally considers such taxpayers to be self-employed and you will need to prepare a Schedule C or Schedule C-EZ to report both the revenues and expenses for the business. See page D-30 of your Pub 4012. Q: My taxpayer is self-employed but received cash payments instead of (or in addition to) the amounts reported on the 1099-MISC. All receipts of the business MUST be reported on the Schedule C or C-EZ. See page D-29 of your Pub 4012. Q: How do I deal with business expenses for a self employed person? Q: My taxpayer sold securities? What do I do? You will need to file a Schedule D for your taxpayer. See pages D-36 and D-37. If your taxpayer realized a net gain on the sale of their securities, then the net gain will be reported on line 13 of their Form 1040. The applicable tax rate depends on whether the gain is short-term or long-term. 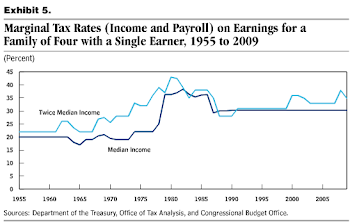 Short-term gains are taxed the same as ordinary income, but long term gains are taxed far more generously. If your taxpayer realized a net loss on the sale of their securities, they report up to $3,000 in net losses on line 13. If their net losses exceed $3,000, the losses in excess of $3,000 may be "carried forward" and applied to future year's returns. Q: My taxpayer had "Capital Loss Carryforwards" from a prior year. What do I do with them? See the guidance at the bottom of page D-36 of Pub 4012. Q: What is the cost basis for a security my taxpayer sold? If your taxpayer purchased the security, the basis is generally the original price paid for the security. Often (but not always) you will find that amount reported on a 1099-B brokerage statement. If your taxpayer inherited the security, the basis is the value of the security ON THE DATE OF DEATH of the person from they inherited it. Q: I have a question not listed above. Help! Check the Table of Contents of Pub 4012 on pages 1-2. Search the PDF of Pub 4012 using a key word or phrase. To my great surprise, I recently learned that there is an annual "Tax Prom" for members of the "tax community," held at the Ritz Carlton Hotel in Washington DC. Who is the "tax community," I wondered. Apparently, ordinary American taxpayers are not members of the "tax community," since tickets are $500 per person (of which $288 "may be tax-deductible to the fullest extent of the law," according to the event's 501c3 nonprofit sponsor, The Tax Foundation), placing it out of the reach of most American households. Opportunities with additional perks for the extra generous are available at various levels from bronze ($6,500) through diamond ($40,000). Noteworthy sponsors include soda companies (Coca Cola and Pepsi), a tobacco company (Altria), and alcohol and beer trade groups. Amazon and Walmart as well as other large corporations are also represented, along with H&R Block, Intuit, and various accounting firms. The invitation page states: "Engage with more than 500 of the tax community's most influential executive branch officials, congressional staffers, members of Congress, sponsors, and non-profits. Establish yourself or your organization as a critical voice in the tax reform debate." Tax errors: tax software, tax professionals, and even the US Treasury Secretary make them! Adventures in the tax code: When is an Xbox taxable income? 2018: update "the really big postcard"
"My parents told me they will not claim me as their dependent this year. That means I can claim myself" Not necessarily! See here. After graduation, what will you and Warren Buffett's secretary most likely have in common? Once again, Eco 391 students are preparing for the VITA certification exam to be given on the first day of class, practicing by working on the workbook returns (which are similar to the scenarios that come up on the VITA exam and also similar to many situations that come up "in real life" for taxpayers at our VITA site.) Some tips are listed below. Any other readers of this blog can find this case study in Pub 4491W on pages 11-15. Step 2: Start a new return in TaxWise. Begin by filling in the Main Info screen using the information from the taxpayer's Intake and Info sheet and the Social Security cards for the taxpayer and dependents. Since this taxpayer has two "Qualifying Children" who lived with her as dependents, you should enter Code 1 on their lines and check the EIC box on their lines to bring up the Earned Income Credit forms. This taxpayer also has a "Qualifying Relative" dependent (her mother), and you should enter her as Code 3. Since QR dependents never qualify a taxpayer for EIC, you would not check the EIC box on the taxpayer's mother's line. Note that Willie Cash is not a QR dependent (why?) and no information for Willie should be entered on the tax return. After you have filled out the Main Info screen completely, you should see a green checkmark next to the Main Info in the left sidebar and you can move on. Step 4: Look at every form in the left sidebar and "get the red out," by completing the requested information in every red field. If class members have questions, please feel free to email me or to post questions on the discussion board in Nexus. I am happy to go into your TaxWise return and troubleshoot if you are having difficulty with anything. Anyone else with questions is welcome to post them in the comments section below. "I don't care if they write me a check, or refund it in my taxes, or just give me a free joint next time I come in. The taxes are too high, and they should give it back." In general, NON-qualifying policies tend to be restricted scope narrow insurance polices as described in the list below. Note that the programs highlighted in yellow and marked with an asterisk below qualify for special relief as described in the footnote at the end of this post. Plans highlighted in red do NOT have minimum essential coverage (MEC) and do NOT qualify for any special relief treatment. *In Notice 2014-10, the IRS announced relief from the individual shared responsibility payment for months in 2014 in which individuals are covered under one of the programs highlighted in yellow above and marked with an asterisk above. Information will be made available later about how to claim an exemption for one of these programs on your income tax return.